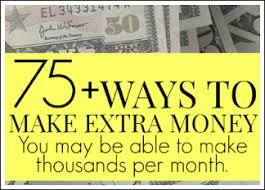 Do you want to make money online and have more freedom? Learn the tactics we used to earn over 500$ per day working around 5 hours per day, with nothing more than a computer and internet connection! We work whenever and wherever we want, plus take time off whenever we please. We will quickly go over the top 75 ways we have used to make money online, before discussing the steps you need to take — as well as the valuable tips and tricks you need to know — if you want to be successful. Of course, you don’t have to quit your day job, but if you take action on the information presented here in, you’ll probably want to. If it’s possible for us it is also possible for you and we guarantee that using the methods in this course and with some effort you will be changing your life for the best in no time. Each day that you procrastinate you only put yourself further behind in reaching your goals.